October | 2013 | Cross Creek Farms Inc. Sometimes I entertain myself by surfing the web looking for the offspring of our Holsteiner stallion Clintord I making their appearances in Europe. 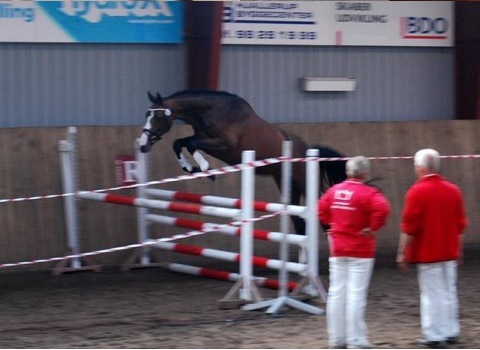 Last night I ran across the results of Katrinelund, the Danish Warmblood licensing event just held this month in Denmark. 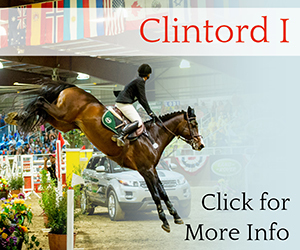 Clintord’s daughter Celebrity T was the champion in jumping performance for 3 year old mares. Congratulations to Celebrity T and her breeder Annette Juhl Taldorf of Stutteri Taldorf in Olgod, Denmark. Best mare with 8.5 for technical and capacity. She was among other things praised for her type, thoroughbred percentage and that she is an eye catcher, a feminine mare with a good shoulder and over line, she is elastic, well balanced and has a large canter and she is jumping with a great overall control, rhythm and with a very good and elastic technique and great capacity.